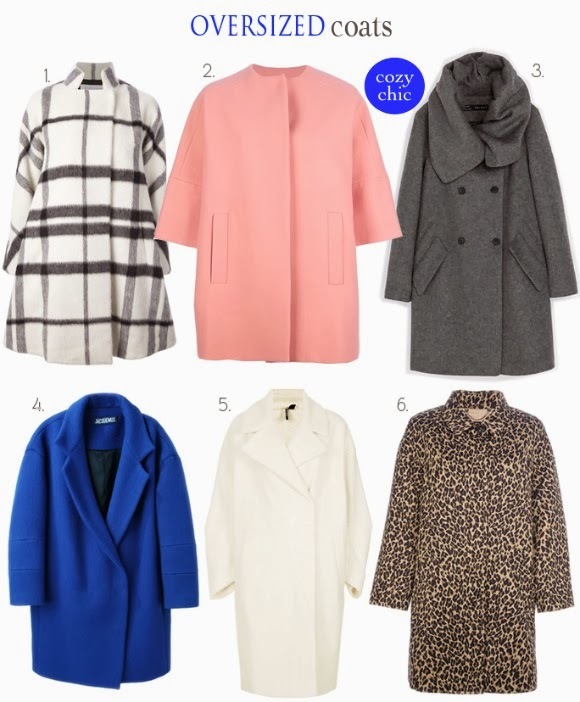 Oversized coats are another big (pun intended) trend this season. Masculine and dramatically large, these coats have dropped shoulders, roomy sleeves and are generally looser throughout. I’m usually all about fitted coats, but there’s something about the roominess of oversized ones that seem extra cozy and comfy. They can be unconventionally chic when worn properly (especially when open and undone) and as long as they aren't too oversized. You don't want to look like your coat is swallowing you whole. Bare your legs or pair it with skinny pants and heels to balance out the look.